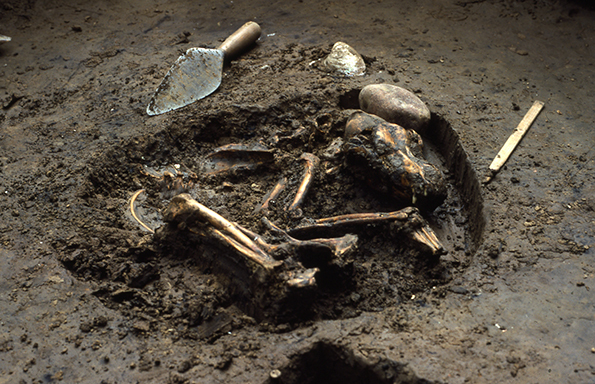 Using genetic information from 71 archaeological dog remains from North America and Siberia, an international team led by researchers at the University of Liverpool, University of Oxford, University of Cambridge, Queen Mary University of London, and Durham University showed that ‘native’ (or ‘pre-contact’) American dogs, which arrived alongside people over 10,000 years ago and dispersed throughout North and South America, possessed genetic signatures unlike dogs found anywhere else in the world. Intriguingly, the study revealed a close link between the genomes of the pre-contact dogs, as the researchers refer to them, and those derived from canine transmissible venereal tumours (CTVT). CTVT is a contagious genital cancer that is spread between dogs by the transfer of living cancer cells during mating. CTVT originated from the cells of a single dog, known as the ‘CTVT founder dog’, that lived several thousand years ago. Remarkably, the research revealed that the dog that first spawned CTVT was closely related to American pre-contact dogs. Overall the results indicate that this cancer, now found worldwide, possesses a genome that is the last remaining vestige of the dog population that was once found all across the Americas.